Thank you for visiting Miller PT’s resource about snowboarding. To the uninitiated, snowboarders may be looked at as daredevils or competitors in an extreme sport. While many snowboarders, both professional and amateur, have the risk-taking gene and an incredible sense of adventure driving them as they strap their board to their feet, the best snowboarders, like Brent Meyer, kn ow that utmost care, conditioning, and caution must be used when partaking in this quick growing and exciting sport. 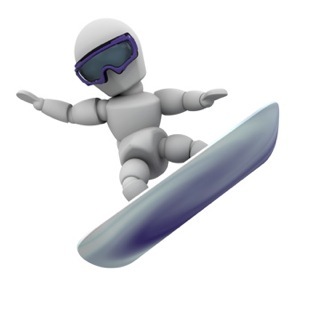 Interestingly enough, the most common snowboarding injury occurs to the upper body as opposed to the lower body. The wrist is a particular target when trying to catch yourself or overcorrecting prior to a fall. This area of our site is designed to help you, the snowboarder, learn the best techniques and exercises to stay healthy and unhurt as you hurtle down the slopes -- so you can spend more time catching air and less time being "crashtastic."